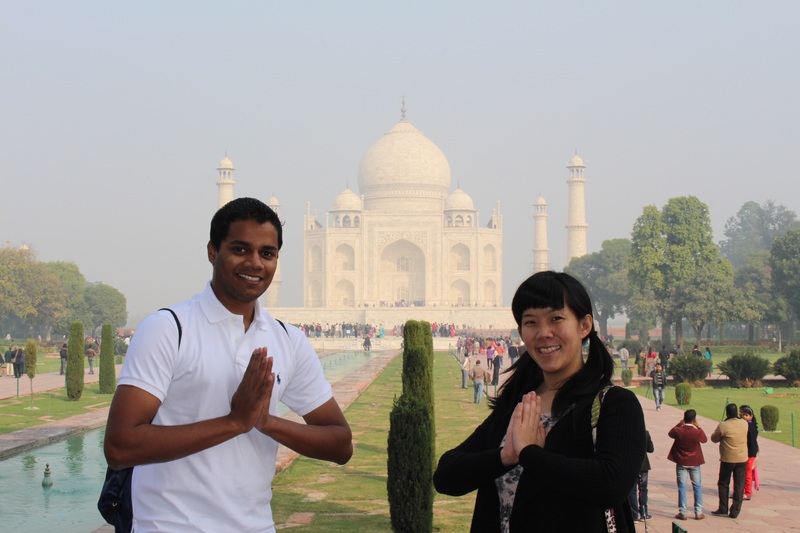 We woke up at 4 AM today, because we needed to catch the 6 AM Shatabdi Express – India’s Fastest Train – to Agra for a day trip. Needless to say, it was a long day as our transit time was 2-hours one-way, assuming that everything is executed flawlessly. 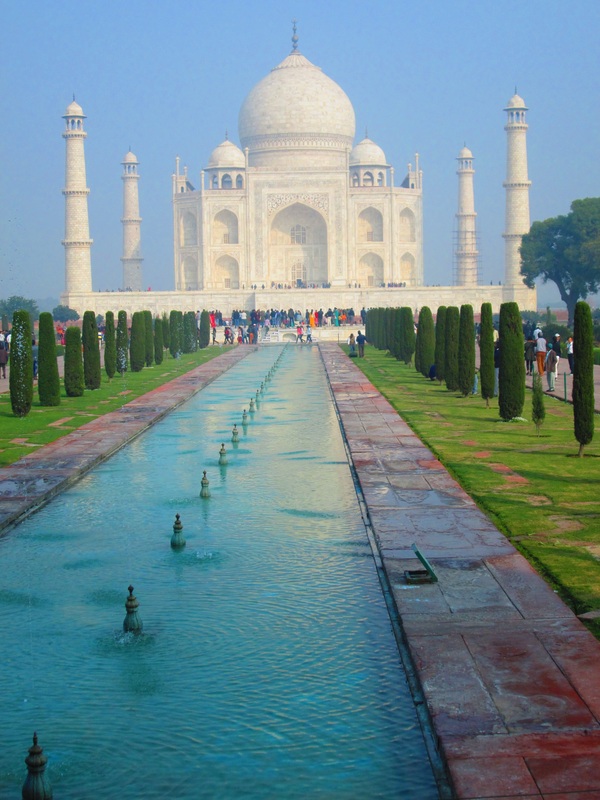 Agra, a former cantonment of the British empire, is the home of the Taj Mahal, one of seven wonders of the world. It is an eye-catching structure consisting entirely of white marble and its impossible to miss the light reflecting off of its surface as the sun creeps higher in the sky. Its origin story is one of love, despair, and tragedy. In the 17th century, Shah Jahan, one of the Mughal Emperors, lost his third wife, a Persian princess named Mumtaz Muhal during the birth of their 14th child in 1631. The following year, construction of the Taj Mahal began. Over the course of 20 years, this project enlisted the labor of over 1,000 elephants to transport building materials from all over India and Asia. 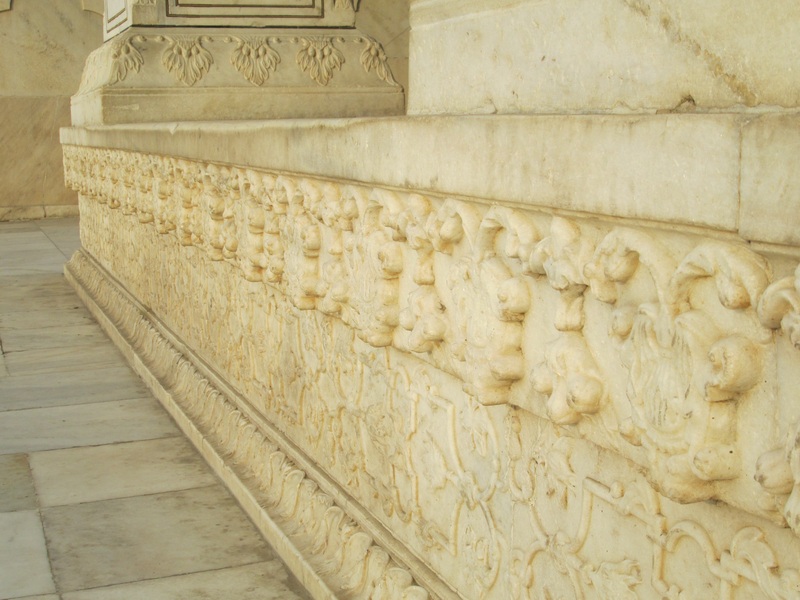 In addition to the iconic white marble that the building is known for, 28 other types of precious and semi-precious stones were inlaid into the ornate design. As this was a period of prosperity within the empire, a skilled labour force of twenty-thousand workers were recruited from all across India. A total of 37 men were selected to form the creative unit behind the Taj Mahal. 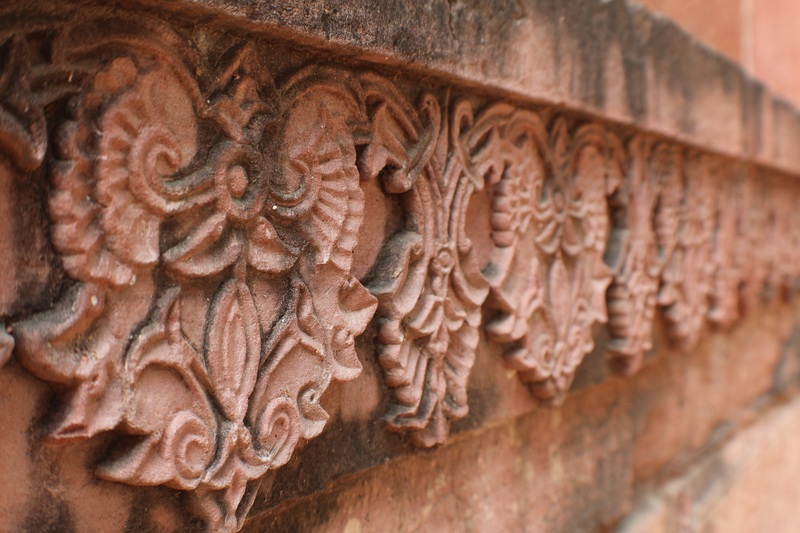 There were sculptors from Bukhara, calligraphers from Syria and Persia, inlayers from southern india, stonecutters from Baluchistan, and individuals who specialized in everything from turrets to the carving of marble flowers. Not too soon after the Taj Mahal’s completion, the Shah was deposed by his son, Aurangzeb, and imprisoned at Agra Fort. It is said that he was given a cell with a window facing the Taj so that he could gaze at the resting place of his love. Shah Jahan was later buried in the mausoleum next to his wife. As a young professional trying to balance the scales of career and ambition between passion and family in the 21st century, it is difficult to imagine the depth of emotion, much less, the hollow shadows that the Shah must have felt on his wife’s passing. I feel that so much of my generation tends to trivialize the word love, that it’s merely a word to convey feeling, but the term amor speaks volumes more. It means depth of commitment, being willing to compromise, accepting the flaws of your significant other, and most of all, not giving up on your relationship when things get rough. You have to be willing to fight for it. That’s what Shah Jahan did. Although Mumtaz was long gone from the world, she stayed alive in his memory. He wanted to commemorate her significance in his life, and the empty space left in his world by her departure. 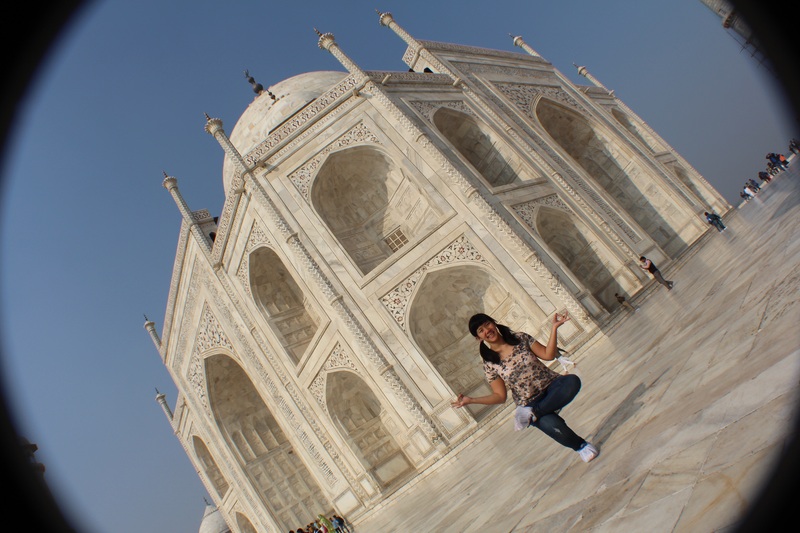 The Taj Mahal was truly a tribute to the joy they shared. 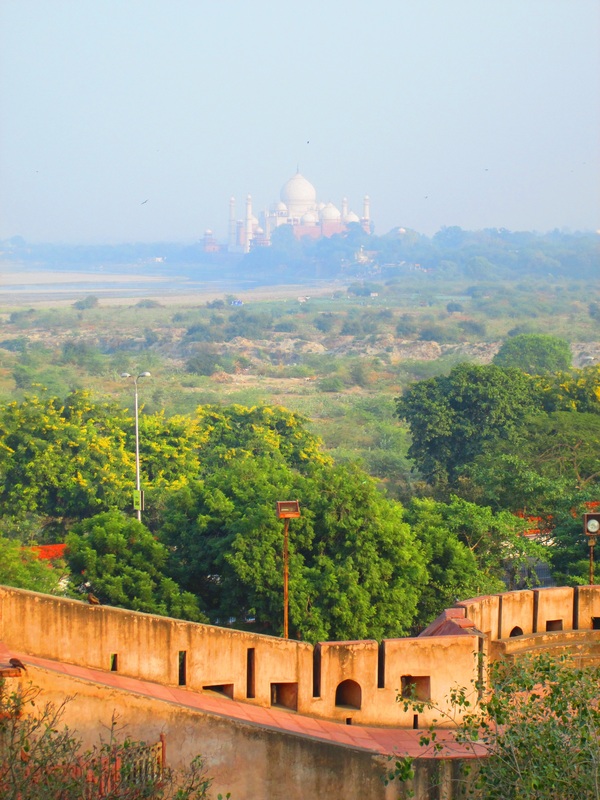 Not too far away, is the Agra Fort, a towering fortress where the throne-less shah was held captive. 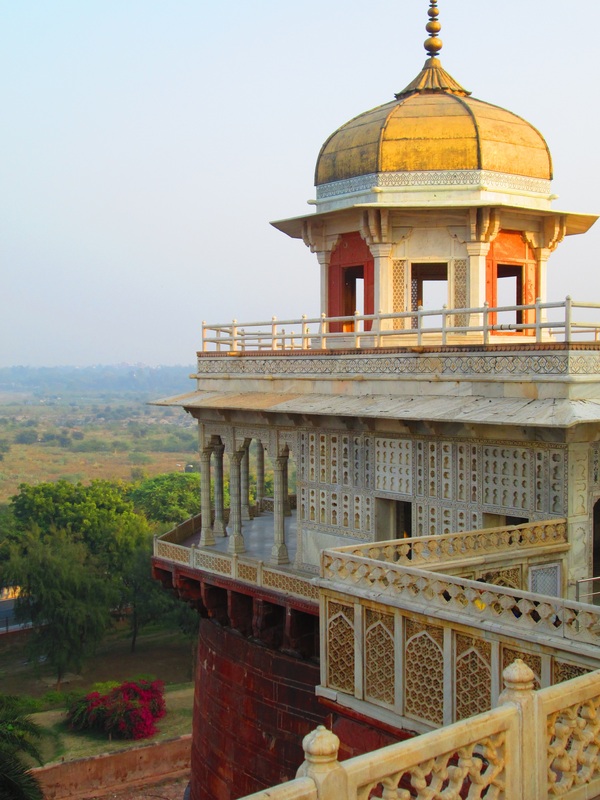 A fort has stood at this location since the 11th century, although the current structure was built by the Mughal Empire. 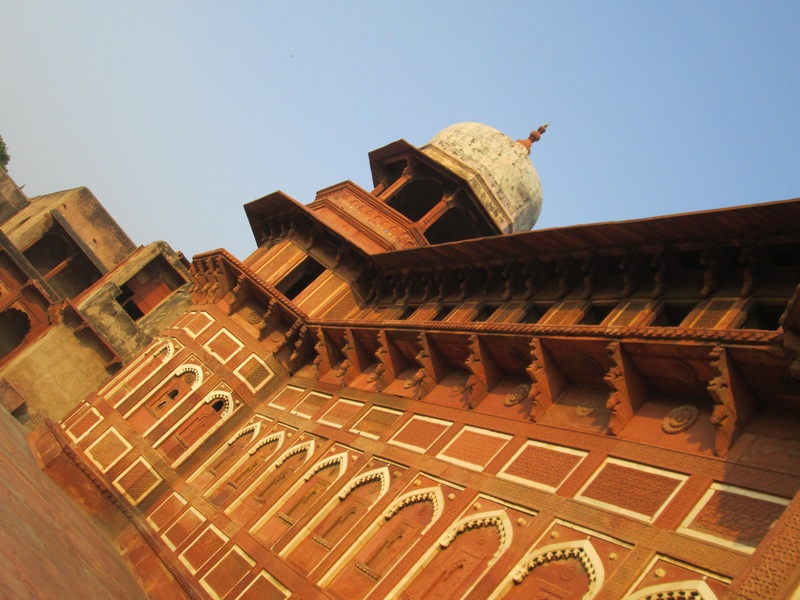 Spanning a total area of 94-Acres, the red sandstone is a staunch guard that dominates the skyline. As the stories say, Shah Jahan was actually held in the Muasamman Burj, a tower with a marble balcony facing the Taj Mahal. After our visit to the fort, it was time to catch our train home. This took a large amount of patience as, despite our 6 PM tickets back, our plane was consistently delayed. First it was by 40 mins, and then it was 1-hour. This soon changed to a 2-hour delay, and progressed further to a 3.5-hour delay. Eventually, we bought another set of tickets for the Shatabdi Express (which is always on time), and managed to get back to Delhi around 11:30 PM. Whew!